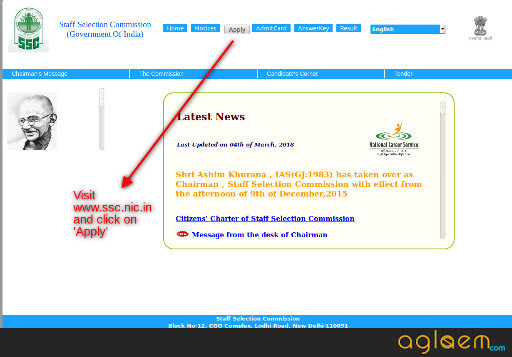 The Staff Selection Commission (SSC) has released a notification on March 03, 2018 regarding the SSC CPO 2018 Recruitment. The SSC CPO Application Form 2018 is now available and candidates can apply the same before the last date, which is April 13, 2018. On this page, you will get the detailed application process. The SSC CPO Recruitment will be done on the basis of an online examination. The Recruitment will be for the posts of Sub-Inspectors in Delhi Police, Central Armed Police Forces (CAPFs) and Assistant Sub Inspectors in CISF. 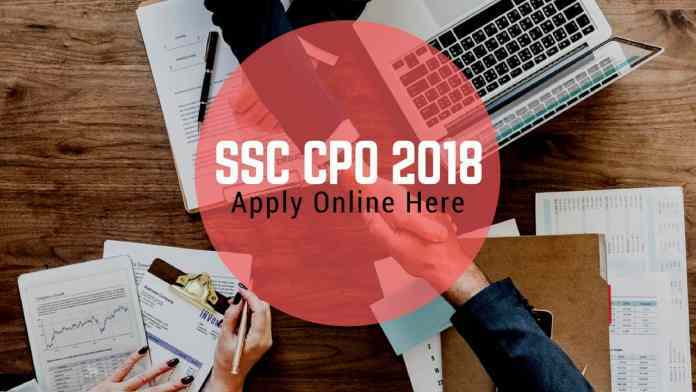 Interested and eligible candidates can check the details of the SSC CPO Application Form 2018 in this article below and apply for the same from the link given below. Latest: The Date to fill the Application Form of SSC CPO 2018 has been extended. Candidates must apply before the last date. Scroll down to Apply and know all the details. The application process is now going on, make sure you read the eligibility criteria carefully and apply before the deadline. The important dates of the application process are given in the table below. 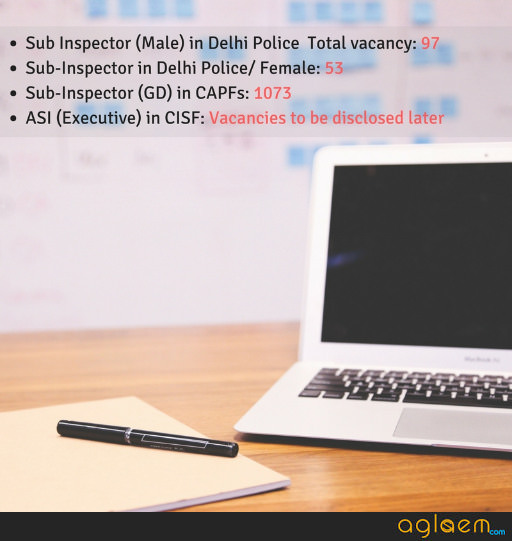 The application form is available for the posts of Sub-Inspectors in Delhi Police, Central Armed Police Forces (CAPFs) and Assistant Sub Inspectors in CISF. Apply Online: Eligible candidates, Click Here to fill the SSC CPO Application Form 2018. Extension Notice: Click here to check the notice. The following are the eligibility criteria for SSC CPO 2018. Before filling up the SSC CPO Application Form 2018, make sure you read the eligibility criteria carefully. We have mentioned the process of applying for the SSC CPO Vacancies further in this article. (e) a person of Indian origin who has migrated from Pakistan, Burma, Sri Lanka, East African Countries of Kenya, Uganda, the United Republic of Tanzania (Formerly Tanganyika and Zanzibar), Zambia, Malawi, Zaire, Ethiopia and Vietnam with the intention of permanently settling in India. SSC CPO Age Limit: 20-25 years as on 01.08.2018 (i.e. candidates born not before 02.Aug.1993 and not later than 01.Aug.1998 are eligible). SSC CPO Educational Qualification: Educational Qualification for all posts is Bachelor’s Degree from a recognized university or equivalent. Click Here to read/download the detailed Eligibility Criteria for SSC CPO 2018. How to Apply for SSC CPO 2018? Visit the official website or click on the direct link given above. After filling all these details correctly, click on the ‘Enter’ button. On submission of the Registration Form, Registration ID and password will be provided. Note down the Registration ID and password and keep them safe. This would be your permanent Registration ID & Password which would be required to apply for this examination as well as any other Recruitment Examination of the Commission. After submission of the Registration Form, the candidate should upload his/ her latest colour photograph and signature. The photograph and signature and must be uploaded in JPG/ JPEG format. The digital size of the photograph must be more than 4 KB and less than 20 KB. The digital size of the signature must be more than 1 KB and less than 12 KB. Your registration will complete after this step. 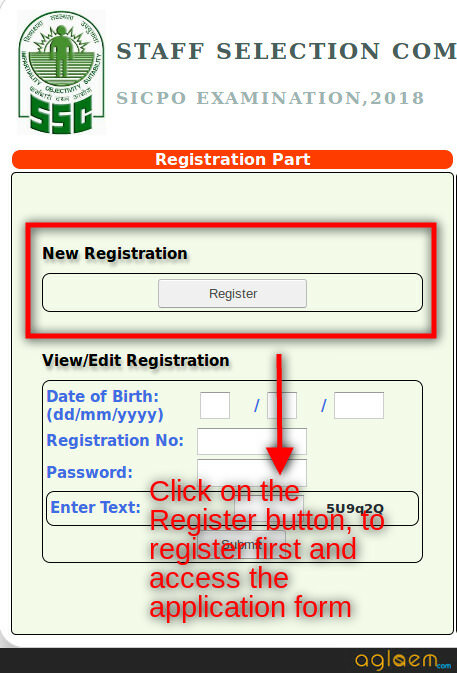 After the registration is done, you will have to fill up the SSC CPO Application Form 2018. 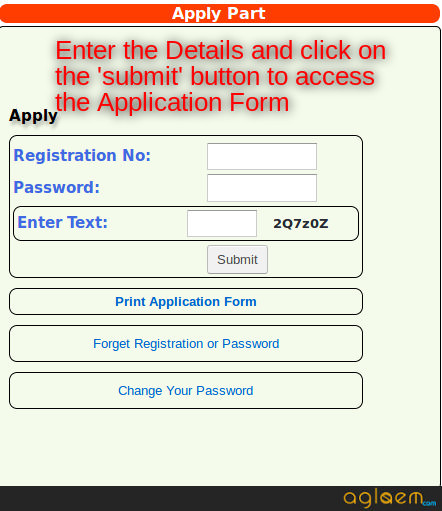 You will need to enter your Registration ID and Password as shown below to start filling up the SSC CPO Application Form 2018. Candidate should thoroughly check all the entries filled in the online application form, before final submission. In case of any discrepancy, the relevant entry may be corrected/ edited. After final submission of online application, no change in any particular shall be allowed. Next and the final step is to pay the application fee. The Application Fee is Rs. 100/-. Women candidates and candidates belonging to Scheduled Caste, Scheduled Tribes and Ex-Servicemen eligible for reservation are exempted from paying the fee. The facility of submission of online application (including payment of fees through online method) will be available from March 03 to April 02, 2018 (5.00 PM). However, candidates who wish to make the payment through challan of SBI may make the payment to designated branches of SBI within the working hours of bank up to April 05, 2018 provided the challan has been generated by them before 5.00 PM on April 02, 2018. On successful fee payment, your application will be complete. You may take a printout of the SSC CPO Application Form 2018 for your own record but you are not required to submit this printout to the Commission. 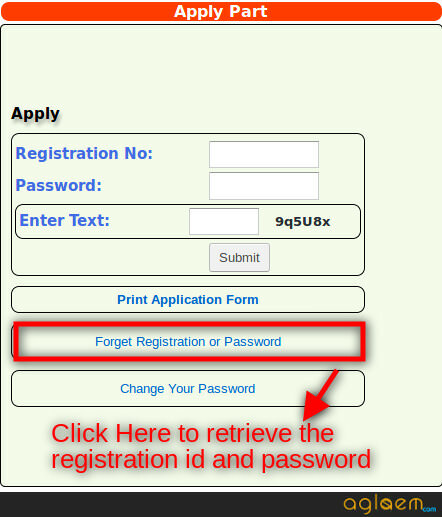 It may be possible that one can displace or forget their registration id and password, in that case, you will need to follow the following steps. Next, the following window will open enter the details and the new registration details will be sent to you. Thus, you can easily retrieve your registration details without any hassle. After the successful submission of the SSC CPO Application Form 2018, candidates will have to download their SSC CPO Admit Card 2018. The admit card will be available for download in the online mode only. The admit card will be issued on May 28, 2018. Make sure you don’t miss the date and download the same. Without it, you will not be allowed to take the SSC CPO 2018 Examination. You will have the important details printed on the admit card like the examination venue, schedule, roll number etc. You must preserve the SSC CPO Admit Card until the selection process ends.